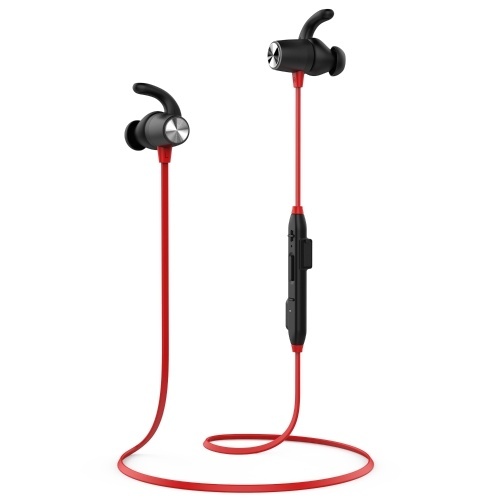 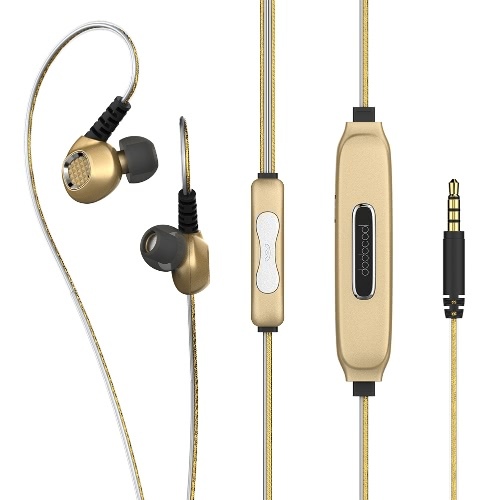 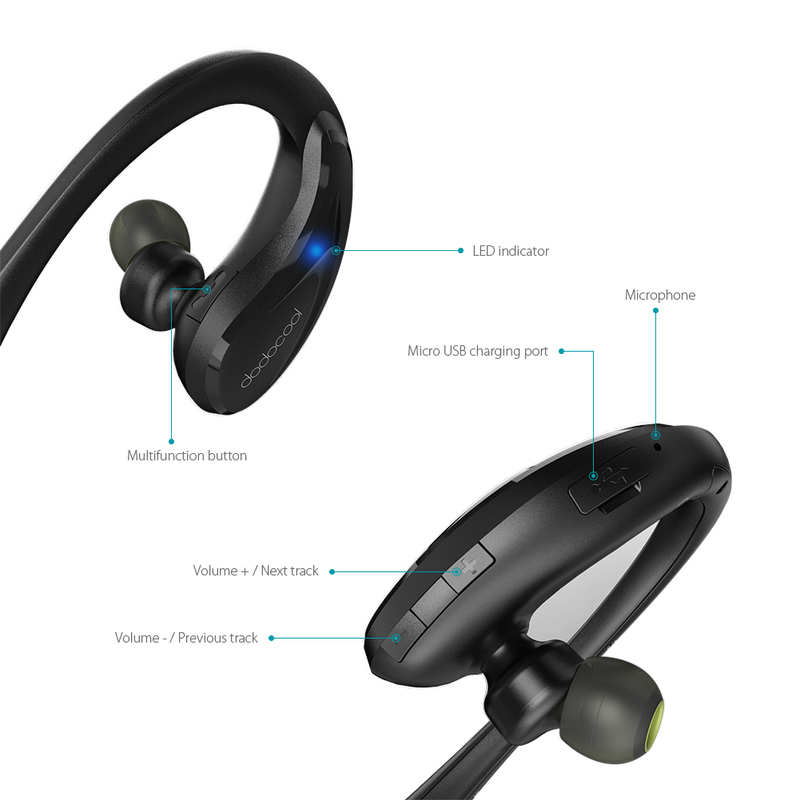 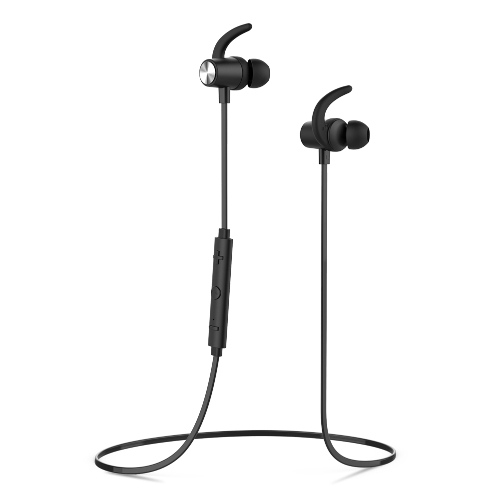 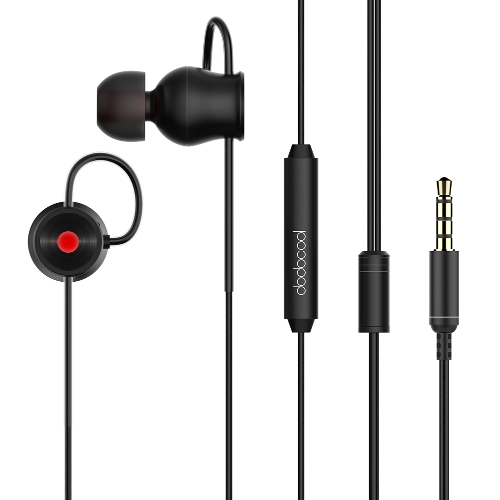 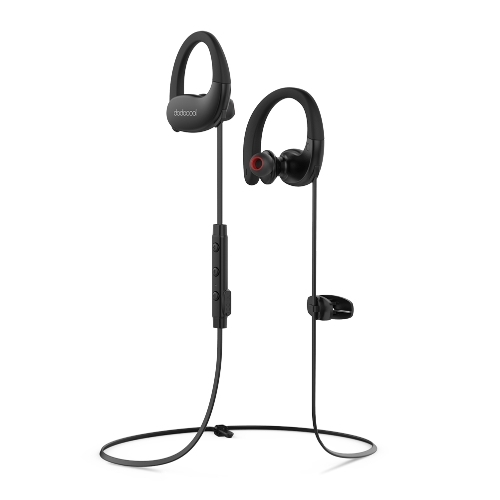 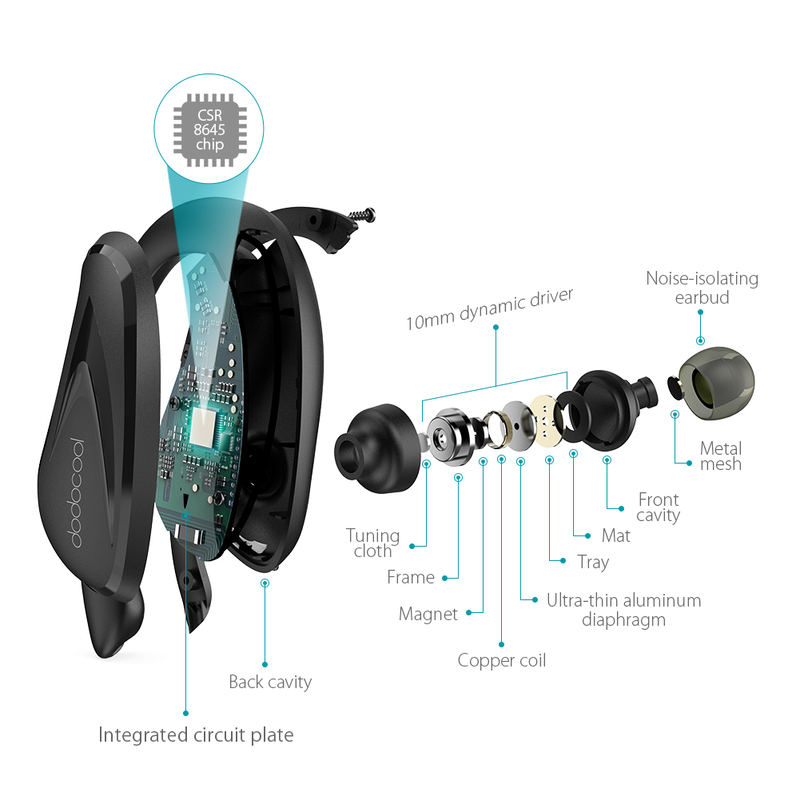 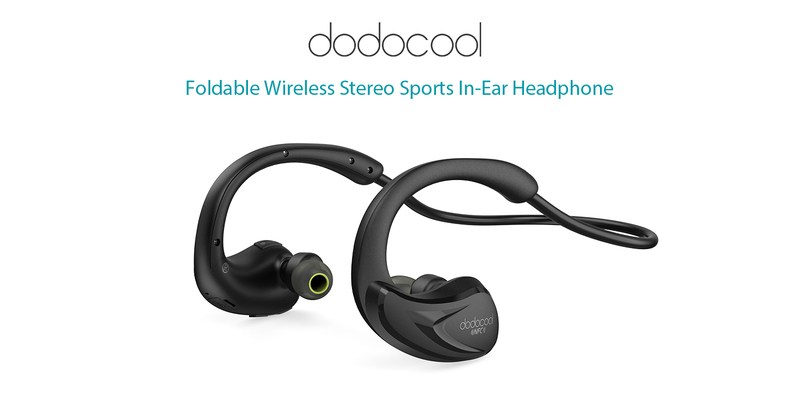 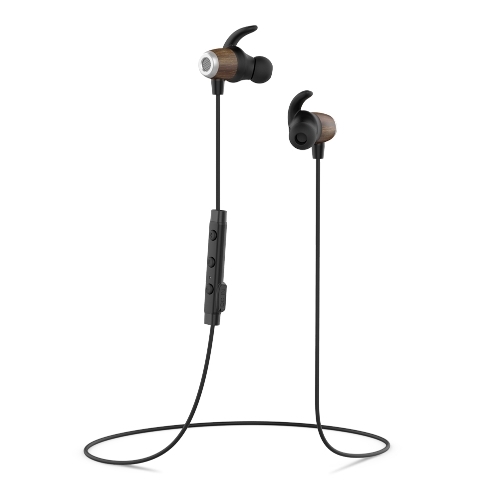 dodocool Foldable Wireless Stereo Sports In-Ear Headphone with HD Mic enables you to enjoy high-quality stereo audio and handsfree phone calls. 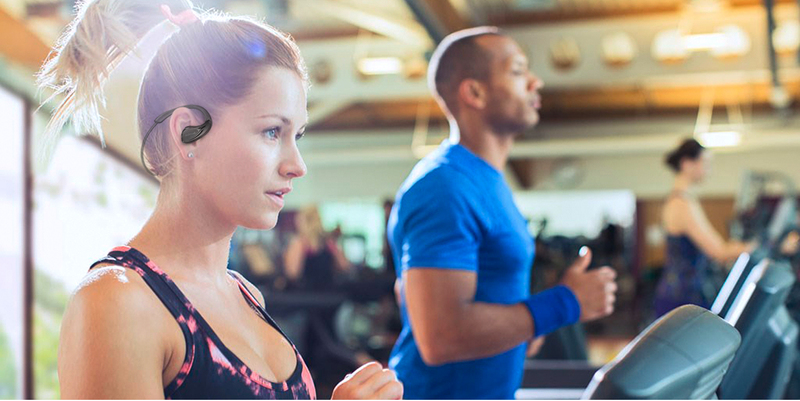 Behind-ear ergonomics design provides stable and comfortable listening experience for sports. Three sizes of interchangeable ear caps provide reliability and comfort while filtering ambient noise. 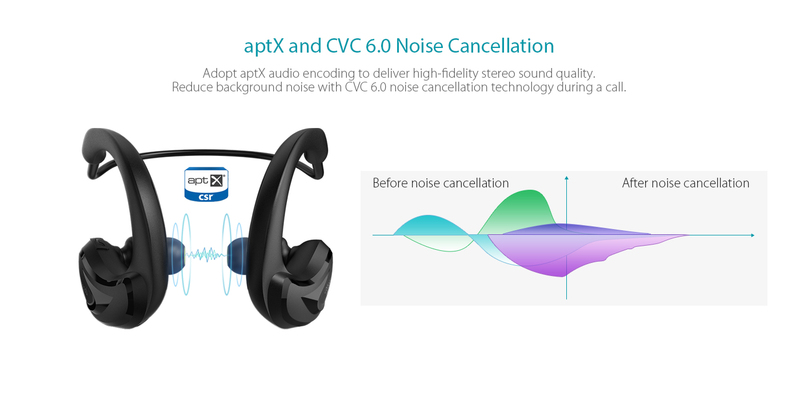 Adopt aptX HD audio encoding to deliver unparalleled high-fidelity stereo sound quality. 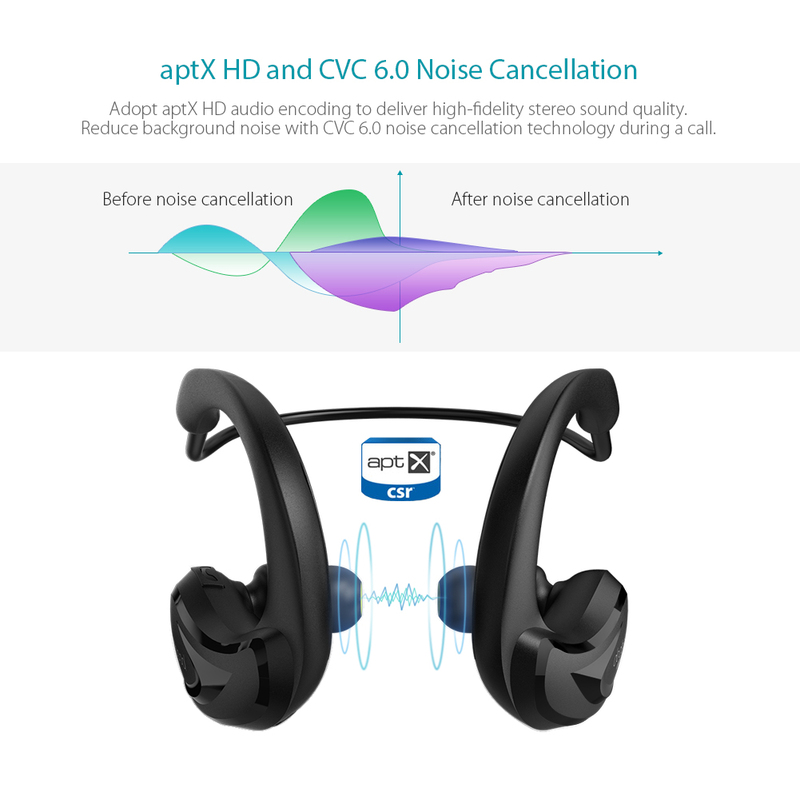 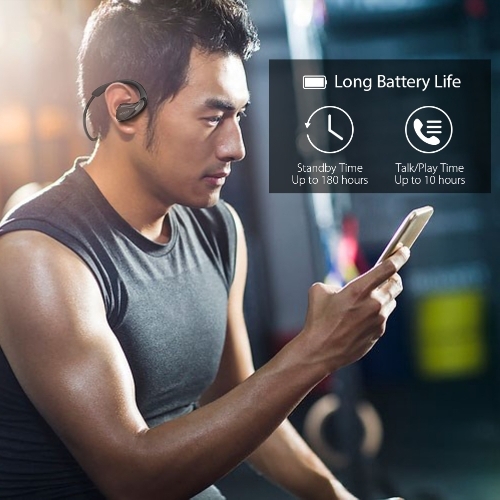 By reducing background noise with CVC 6.0 noise cancellation technology, it enables you to stream music or enjoy hands-free function with the built-in HD microphone anytime, anywhere. 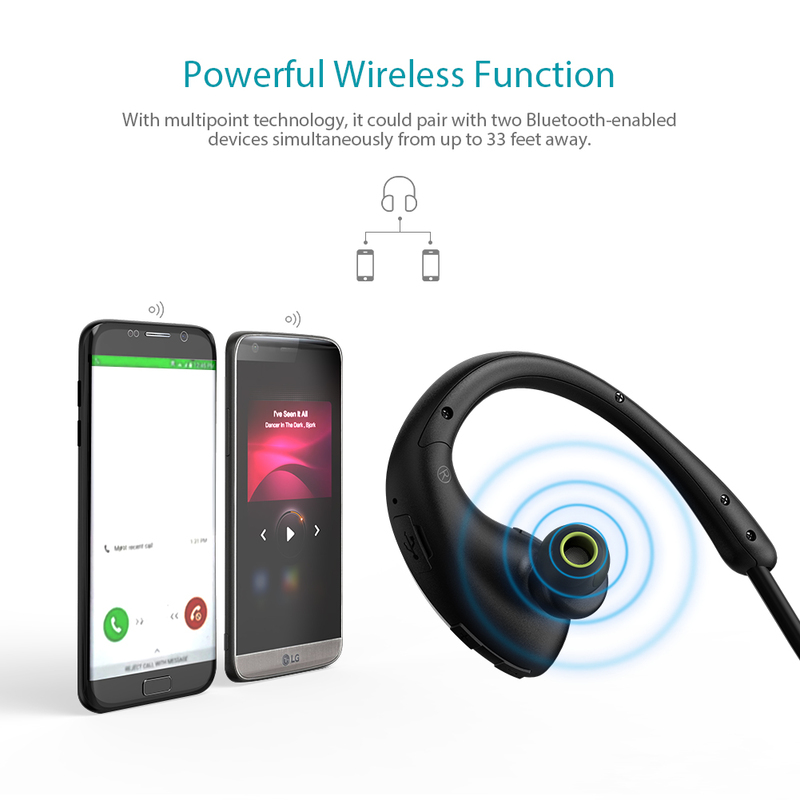 With multipoint technology, it could pair with two Bluetooth-enabled devices simultaneously from up to 33 feet away. 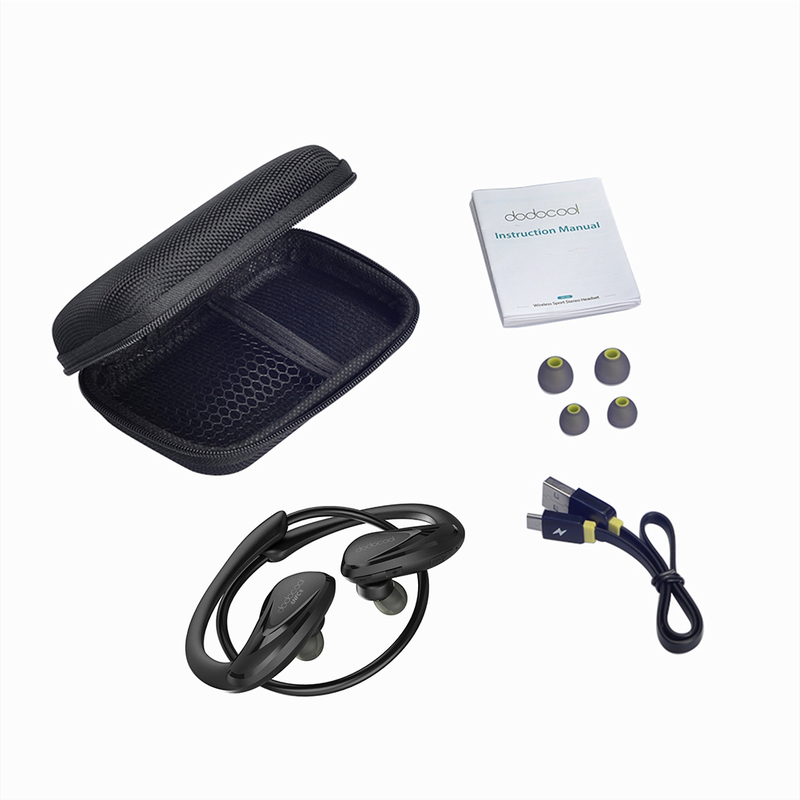 Compatible with most Bluetooth-enabled smartphones, tablets, personal computers and other devices. 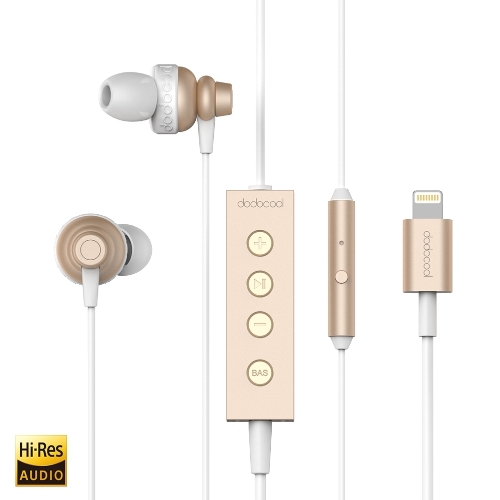 The battery level of the headphone will be displayed on your iPhone. 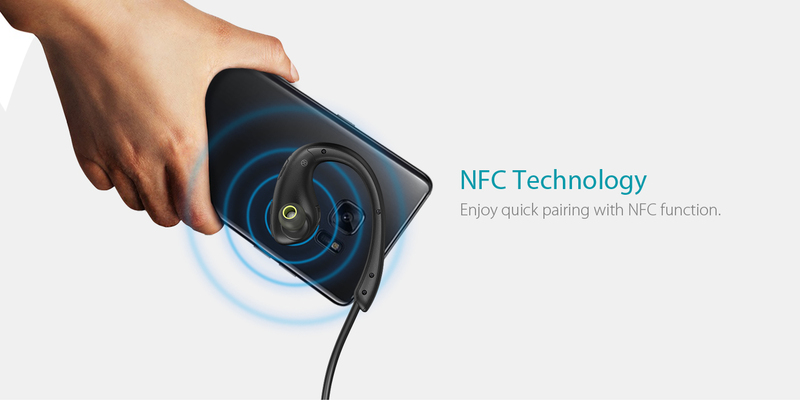 Enjoy quick pairing with NFC function. 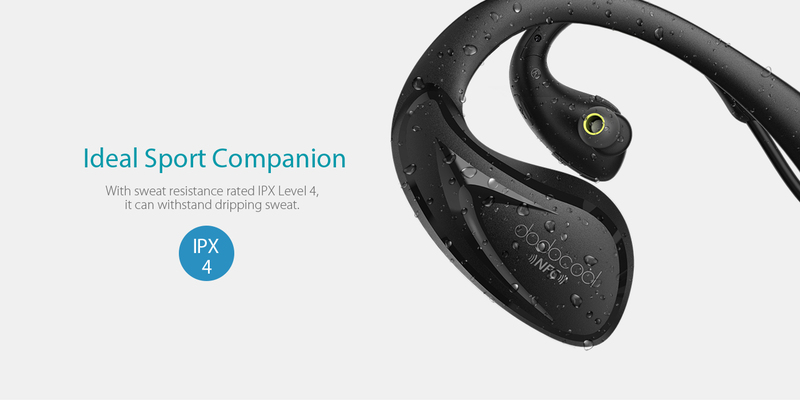 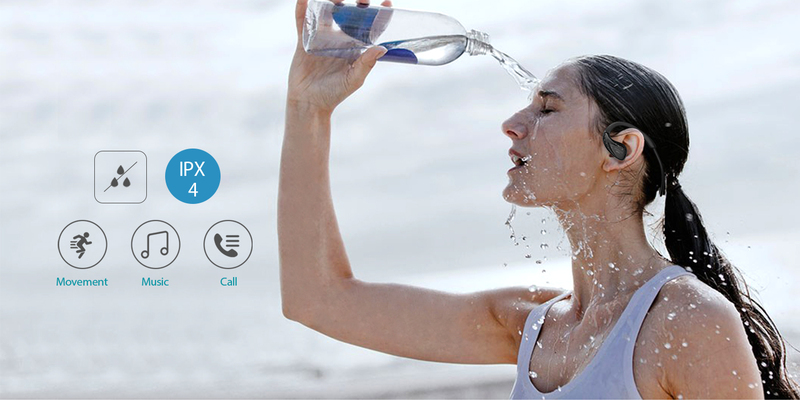 With sweat-resistant rated IPX Level 4, it can withstand dripping sweat. 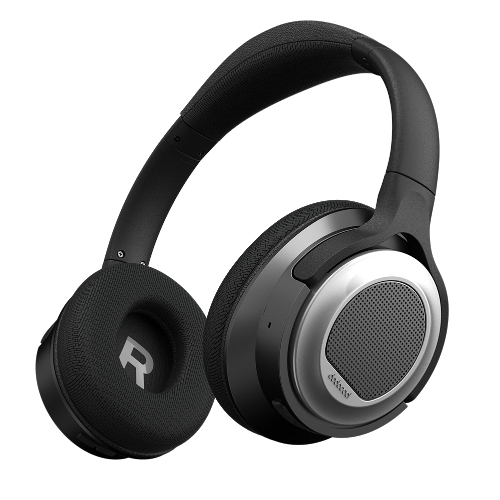 This headphone will roll up automatically when not in use, very convenient for carrying and storage. 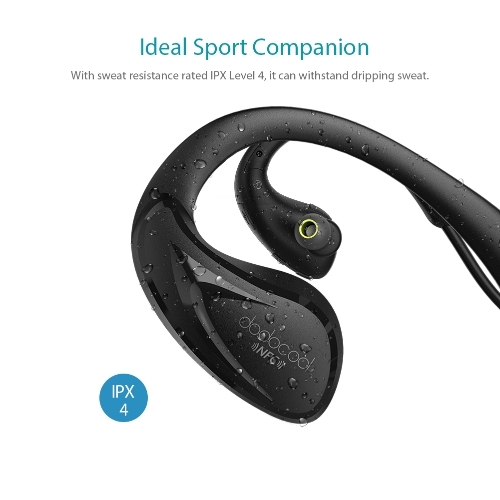 Ideal for running, hiking, camping, biking, jogging, climbing, driving, doing fitness and other sports. 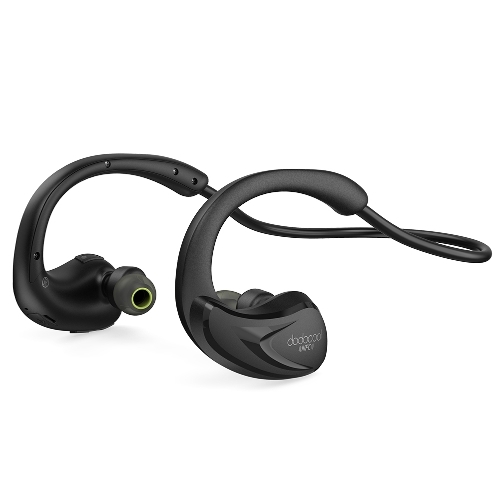 Lightweight and behind-ear ergonomics design make it comfortable to wear. 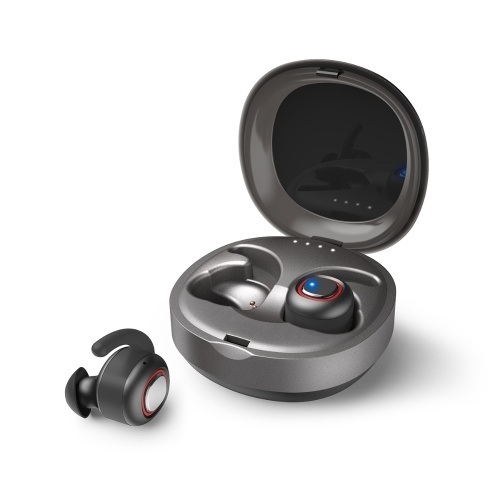 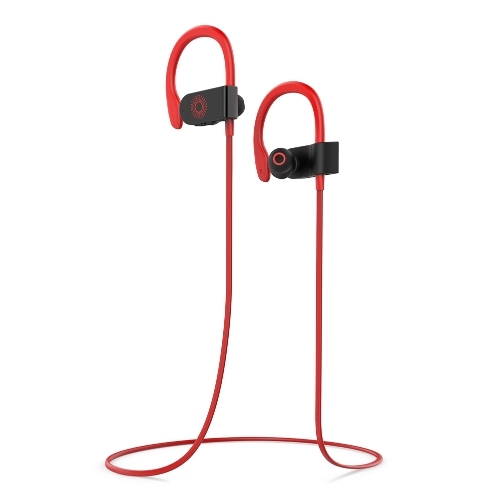 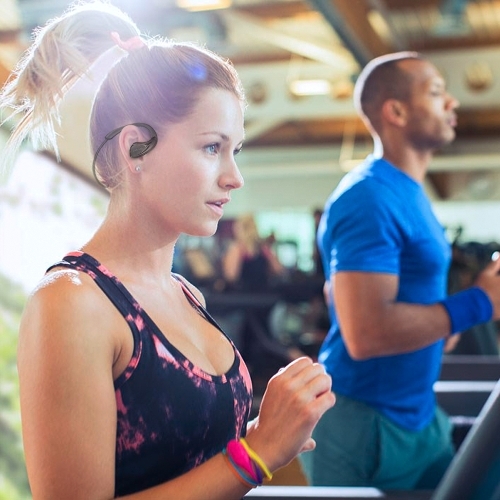 Included soft S/M/L ear caps provide secure fit and comfortable wearing experience, making it better for sound isolation and easy to stay put while you exercise. 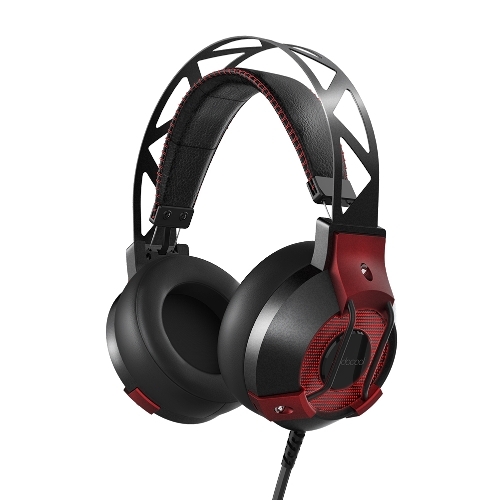 Provide up to 10 hours of playtime or 180 hours of standby time per full charge. 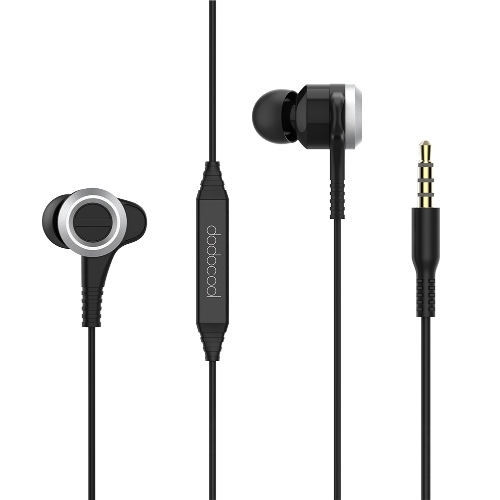 The LED indicator displays the connection, charging and battery level status. 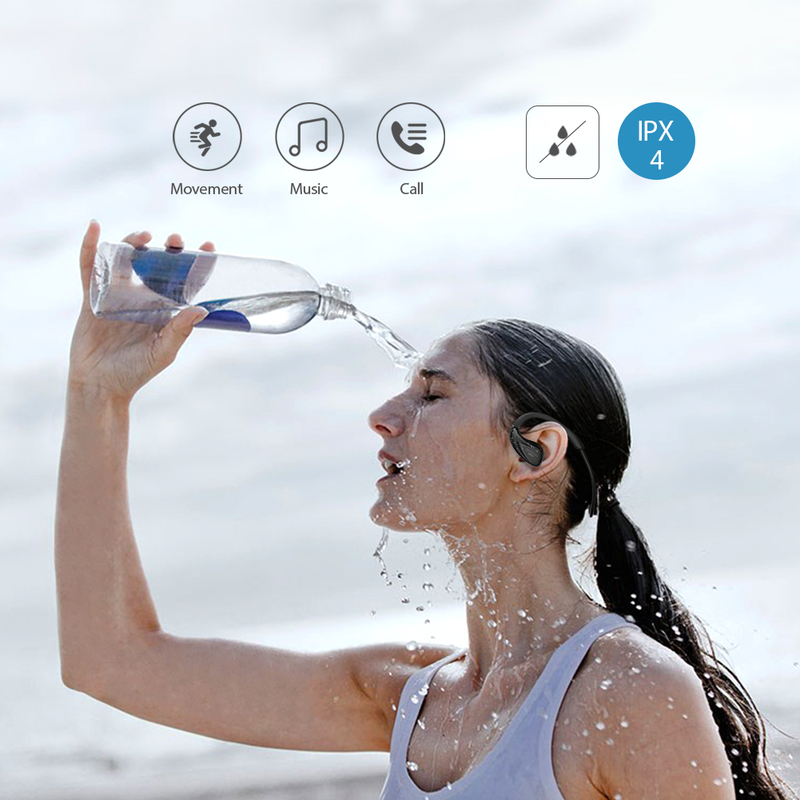 Multiple control buttons enable you to adjust the volume, control media playback, answer/reject/transfer/end calls easily by using the buttons on the headphone. 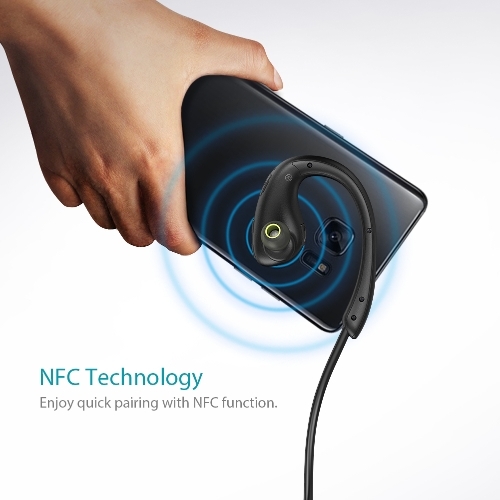 Note: Obstacles and movement may cause unstability of wireless connections.